Stromal sarcomas occur in younger age group (most often seen by age 50) in contrast to STUMP (peak incidence in 6th and 7th decades). They may occur de novo or arise by malignant transformation of a STUMP. The image shows high-grade stromal sarcoma with MFH-like pattern. 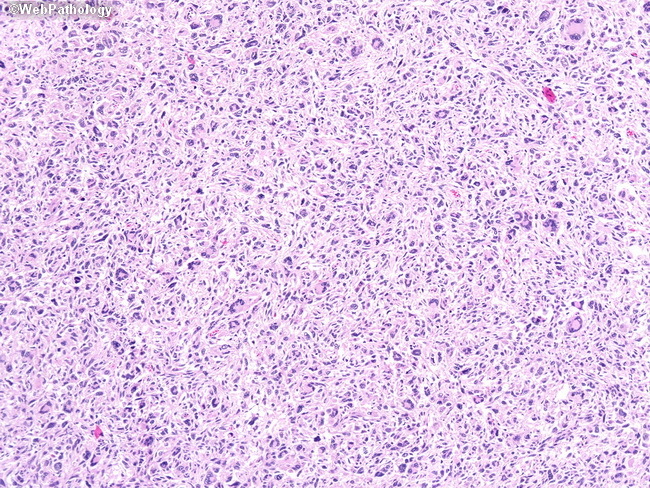 The tumor shows high cellularity, marked pleomorphism, multinucleated tumor giant cells, and atypical mitoses.